Flood and stream induced scour occurring in bridge piers located on rivers is one of the mostly observed failure reasons in bridges. Scour induced failure risk in bridges and determination of the alterations in bridge safety under seismic effects has the ultimate importance. Thus, for the determination of bridge safety under the scour effects, the scour amount under bridge piers should be designated realistically and updated with continuous monitoring. In this study, in order to measure the amount of scour in bridge piers unmanned aerial system (UAS) based measurement methods were implemented. UAS based measurement systems provide new and practical approach and bring high precision and reliable solutions considering recent measurement systems. For this purpose, the reinforced concrete (RC) bridge that is located on Antalya Boğaçayı River, Turkey and that failed in 2003 due to flood-induced scour was selected as the case study. The amount of scour occurred in bridge piers was determined realistically, and the behavior of bridge under scour effects was investigated. In the light of the attained scour measurements and expected scour after a probable flood event, the behavior of scour induced RC bridge was determined by pushover analyses under seismic loadings. In the analyses, the load and displacement capacity of bridge was observed to diminish significantly under expected scour. Regarding the case study, UAS based and continuously updated bridge performance evaluation system was developed that could be used for bridges located on the riverbed. Prendergast, L.J., Gavin, K., “A Review or Bridge Scour Monitoring Techniques” Journal of Rock Mechanics and Geotechnical Eng., 6: 138-149, (2014). 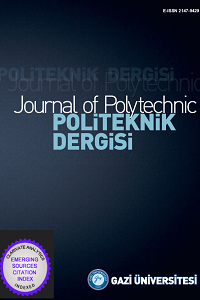 Fisher, M., Chowdury, M.N., Khan, A.A., Atamtürktür, S., “An Evaluation of Scour Measurement Devices”, Flow Measurement and Instrumentation, 33: 55-67, (2013). DeFalco, F., Mele, R., “The Monitoring of Bridges for Scour by Sonar and Sedimetri”, NDT&E International, 35: 55-67, (2002). Burrell, J., Gurrola, H., Mickus, K., “Frequency Domain Electromanetic and Ground Penetrating Radar Investigation of Ephemeral Streams: Case Study near the Southern High Plains, Texas”, Environmental Geology, 55: 1169-1179, (2008). Prendergast, L.J., Hester, D., Gavin, K., O’Sullivan, J.J., “An Investigation of the Changes in Natural Frequency of a Pile Affected by Scour”, Journal of Sound and Vibration, 332: 6685-6702, (2013). İbrahimy, M.I., Motakabber, S.M.A., “Bridge Scour Monitoring by Coupling Factor between Reader and Tag Antennas of RFID System”, International J. of Geomate, 8(16): 1328-1332, (2015). Tamminga, A.D., Eaton, B.C., Hugenholtz, C.H., “UAS Based Remote Sensing of Fluvial Change Following an Extreme Flood Event”, Earth Surface of Processes & Landforms, 40: 1464-1476, (2015). Jaud, M., “Potential for UAVs for Monitoring Mudflat Morphodynamics: Application to Seine Estuary, France”, ISPRS International Journal of Geo-Information, 5: 50-55, (2016). Javernick, L., Brasington, J., Caruso, B., “Modeling the Topography of Shallow Braided Rivers using Structure - from - Motion Photogrammetry”, Geomorphology, 213: 166-182, (2014). Verhoeven, G., Doneus, M., Briese, C., Vermeulen, F., “Mapping by Matching: A Computer Vision-Based Approach to Fast and Accurate Georeferencing of Archeological Aerial Photographs”, J. of Archeological Sci., 39: 2060-2070, (2012). Westoby, M.J., Brasington, J., Glasser, N.F., Hambrey, M.J., Reynolds, J.M., “Structure-from-Motion Photogrammetry: A Low Cost Effective Tool for Geoscience Applications”, Geomorphology, 179: 300-314, (2012). James, R.M., Robson, S., “Straightforward Reconstruction of 3D Surfaces and Topography with a Camera: Accuracy and Geoscience Application”, J. of Geophysical Research, 117: (2012). Obanawa, H., Hayakawa, Y., Saito, H., Gomez, C., “Comparisons of DSMs Derived from UAV-SfM Method and Terrestrial Laser Scanning”, Journal of the Japan Society of Photogrammetry and Remote Sensing, 53: 67-74, (2014). Fonstad, M.A., Dietrich, J.T., Courville, B.C. Jensen, J.L., Carbonneau, P.E., “Topographic Structure from Motion: A New Development in Photogrammetric Measurement”, Earth Surface Processes and Landforms, 38: 421-430, (2013). Tonkin, T.N., Midgley, N.G., Graham, D.J., Labadz, J.C., “The Potential of Small Unmanned Aircraft Systems and Structure-from-Motion for Topographic Surveys: A Test of Emerging Integrated Approaches for Cwm Idwal, North Wales”, Geomorphology, 225: 35-43, (2014). Turner, D., Lucieer, A., Watson, C., “An Automated Technique for Generating Georectified Mosaics from Ultrahigh Resolution Unmanned Aerial Vehicle (UAV) Imagery based on Structure from Motion (SfM) Point Clouds”, Remote Sensing, 4: 1392-1410, (2012). Harwin, S., Lucieer, A., “Accessing the Accuracy of Georeferenced Point Clouds Reduced via Multi-view Stereopsis from Unmanned Aerial Vehicle Imagery”, Remote Sensing, 4: 1573-1599, (2012). Lucieer, A., DeJong, S.M., Turner, D., “Mapping Landslide Displacements using Structure from Motion (SfM) and Image Correlation of Multi-Temporal UAV Photography”, Progress in Physical Geography, 38: 97-116, (2014). Quedraogo, M.M., Degre, A., Debouche, C., Lisein, J., “An Evaluation of Unmanned Aerial System based Photogrammetry and Terrestrial Laser Scanning to Generate DEMs of Agricultural Watersheds” Geomorphology, 214: 339-355, (2014). Clapuyt, F., “Reproducibility of UAV-based Earth Topography Reconstructions based on Structure from Motion Algorithms”, Geomorphology, 260: 4-15, (2016). Kaiser, A., Neugirg, F., Rock, G., Müller, C., Haas, F., Ries, J., Schmidt, J., “Small Scale Surface Reconstruction and Volume Calculation of Soil Erosion in Complex Moroccan Gully Morphology using SfM”, Remote Sensing, 6: 7050-7080, (2014). Flener, C., “Calibrating Deep Water Radiance in Shallow Water: Adapting Optical Bathymetry Modeling to Shallow River Environments”, Boreal Environmental Research, 18: 488-502, (2013). Lin, C., Bennett, C., Han, J., Parsons, R.L., “Scour Effects on the Response of Laterally Loaded Piles considering Stress History of Sand”, Computational Geotechnics, 37: 1008-1014, (2010).